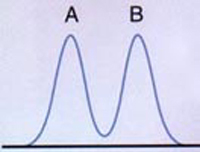 The speed of the mobile phase is highest at the center of the tube, causing peak broadening. 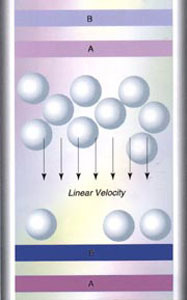 By filling the reaction column with beads, the mobile phase moves less smoothly, resulting in a homogeneous flow without peak broadening. No space is needed at the side of the instrument for maintenance. Just open the front door to replace consumables, columns and the liquid waste container. 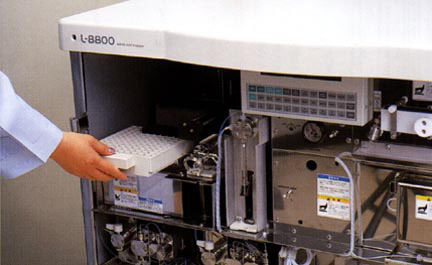 The L-8900's unique post column delivery design mixes the two ninhydrin reagents just prior to amino acid derivatization. This means they can be stored for a year without refrigeration. 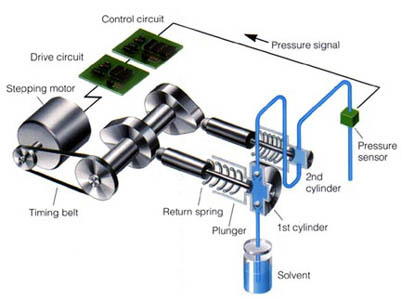 A high-speed, real-time feedback control system ensures excellent flow rate stability. This dual processor system allows small pressure changes to be detected and the pressure adjusted to maintain stability. The finer the packing particles, the higher the number of theoretical plates. That means better separation. 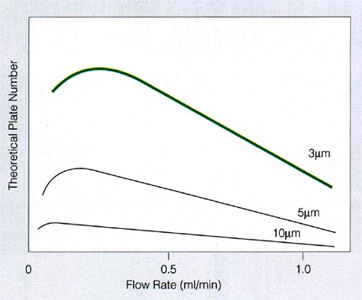 Finer particules also boost flow rate at the maximum number of theoretical plates. The 3Âµm packing particles used in the L-8900 are a key technology for fast analysis over a broad range of flow rates with excellent separation. The sample rack may be quickly removed for easy exchange of sample tubes. EZChrom Elite Chromatography Data System - Expand your capabilities by controlling multiple chromatography systems.